1. We partially know how the cover for the third book will look like. It's ORANGE!!! It's freaking Orange, which by the way, is my favorite color. 2. The cover is not complete. I don't know if you can even call it a book cover at the moment. But the point is that most fans (including me, sometimes) hate having to wait and being teased like this. 3. 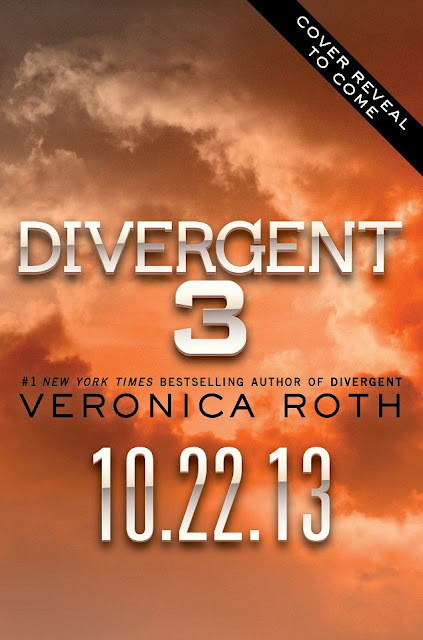 The third book will not go on sale (in the U.S.) until October 22, 2013. 4. TITLE please. Fans are very eager to know what the title for the third book will be. Unfortunately, this teaser does not include the title. Is it really going to be Resurgent? Or will it be Detergent? What? So, thoughts? Comments? Anything to say about this?